The Soulmate, first seen at CES 2016 in January, the concept car is a roofless development of the striking Light Cocoon coupe that shown at Geneva last year. And is now being rebuilt in around its lightweight frame structure with outer shell fabrics, body components with 3D printer. The outer skin is not only beautiful glowing: lighting that can act as a warning sign, both for the driver and other road users. In the list panel door can be lit to warn of the presence of cyclists in the blind spot at the side, for example. 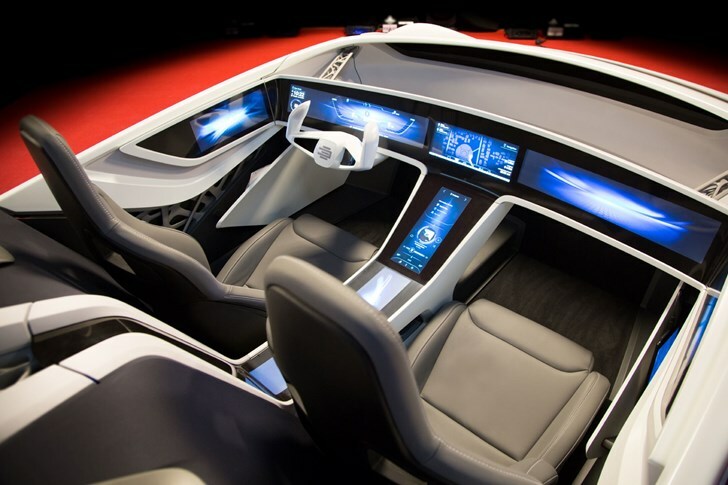 The concept car connected to the internet from Bosch technology, communications to smart home (to provide access for delivery), integration with online services and smartphone applications and infotainment network. The dashboard and center console are fully controlled through the electronic visible on the screen.